Our world patented WA-Series and ALL-IN-ONE Series universal adapter plugs let you easily convert the various country-specific outlets into a universal one*. While the WA-Series offers individual country-specific models, our latest ALL-IN-ONE adapter kits are designed with rapid configurability in mind to offer a total and once for all solution to enable you quickly configure the right adapter you need in seconds. With our universal adapter solutions, you can rest your mind to focus on extending your business reach worldwide and never be surprised by an unfamiliar foreign outlet again. 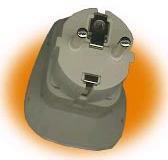 For example, using our WA-9 adapter, designed for converting a French or German outlet into an universal one, you are able to plug in your notebook computers equipped with standard USA plug into the French and German outlets. 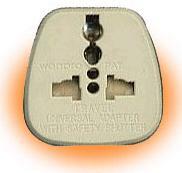 By the same token, if you are hosting an international event in the U.S. or receiving foreign visitors who bring their own notebook computers, our WA-5 adapter, designed for use in North America, can convert a standard U.S. NEMA 5-15 (2-pole with ground) outlet into an universal one so that your foreign visitors can easily plug in their computers into a U.S. outlet, regardless what country they come from. WA series adapters are also ideal accessories for bundling with your product for shipping to overseas destinations. For example, upon bundling with a WA-9 adapter, a company can immediately ship its product equipped with a standard U.S. power cord to France and Germany. In addition, WA-320 adapter can convert any standard IEC-320 outlet used in electronics or computer products into an universal outlet. *Important: Our universal plug adapters DO NOT perform active voltage step-up or step-down conversion. Care must be taken to ensure your business machines or appliances are equipped with a full range AC adapter that can take voltage ratings between AC 100V and AC 240V. 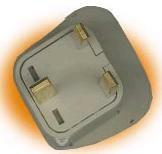 Otherwise, a separate step-up or step-down transformer must be used together with our universal plug adapters. However, nearly all of today's portable business machines, such as notebook computers, are equipped with a full range AC adapter by default.